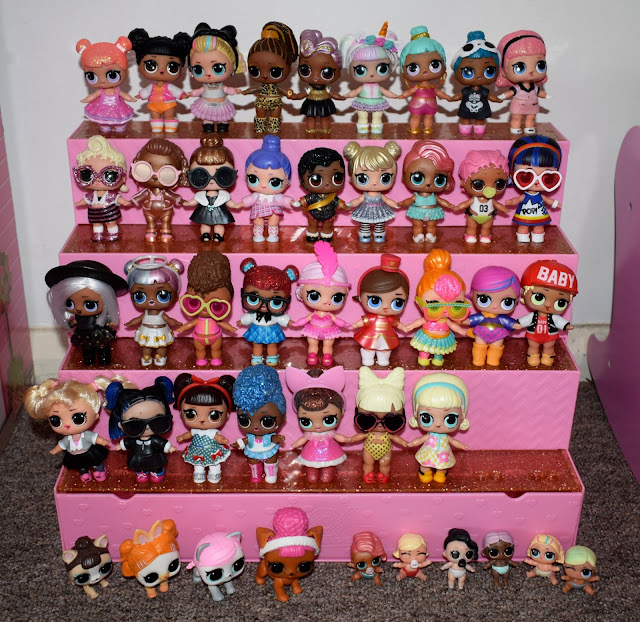 Regular readers of my blog might have realised that Evelyn is a huge fan on L.O.L Surprise dolls and has been colleting them for over a year now. 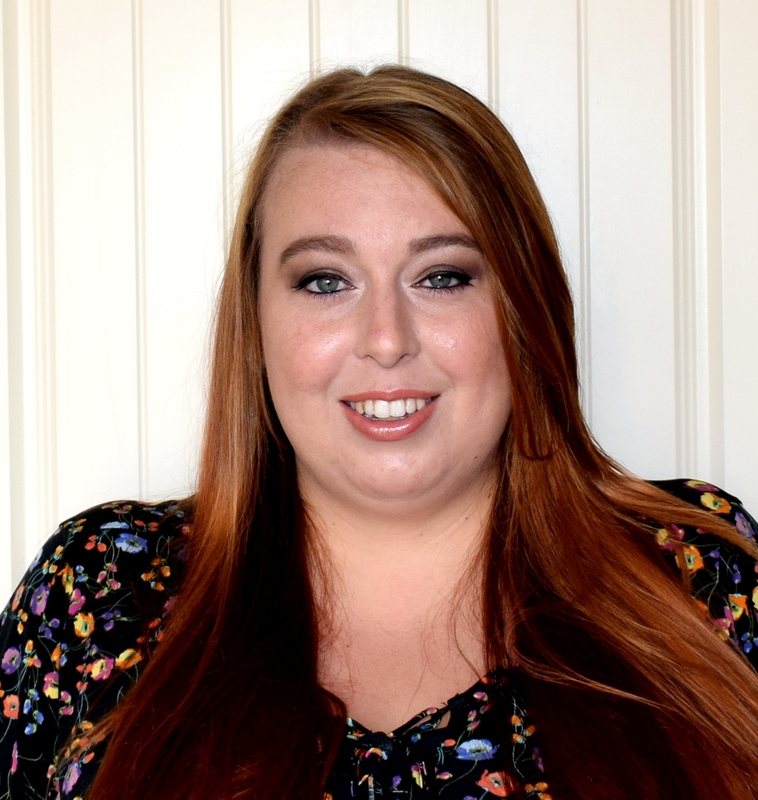 She adores these super cute miniature collectible dolls that come in a surprise ball so you don't know which doll you will receive until you open it up! There have been quite a few series that have been released now including the L.O.L Surprise Confetti pops, the Under Wraps series and there are even series for pets and lil sisters too. 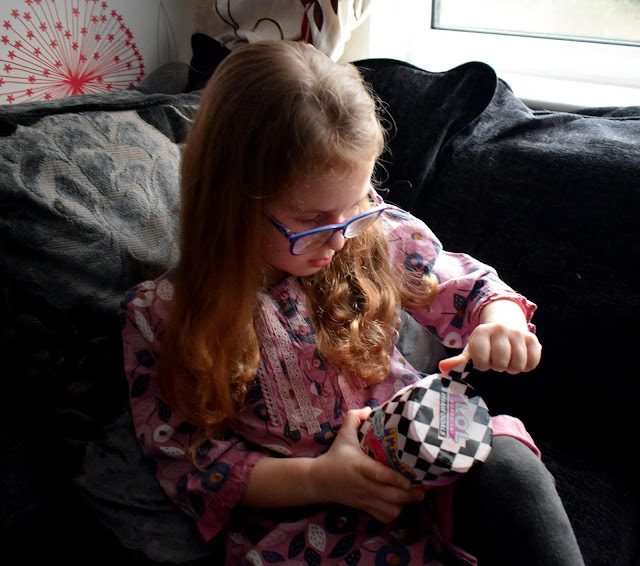 The big sister dolls are definitely Evelyns favourite of all the collectible dolls and she now has around 40 dolls all together. 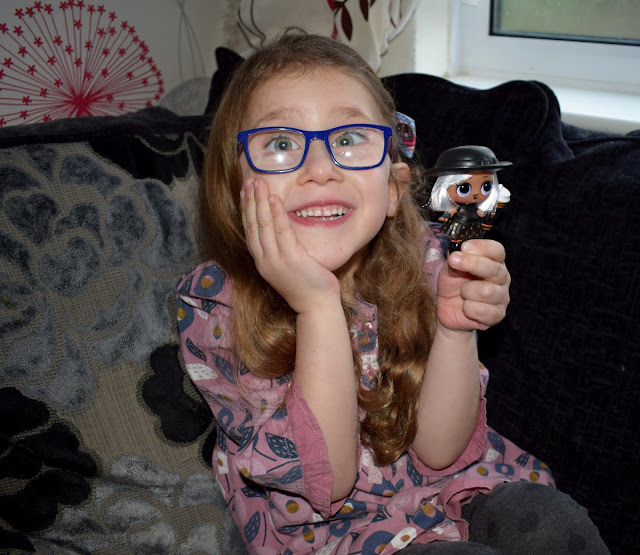 That didn't stop her being beyond excited however to receive a L.O.L Surprise doll from the brand new series that has just been released.... the Hair Goals series! In this series the dolls are the same much loved, animated and super cute dolls but with one big difference... they have real brushable hair! This series come in a cylindrical capsule rather than the round ball shapes but still have the same perforated layers that you unveil to reveal your doll. As I mentioned above there is no knowing what doll will be inside each capsule until you full open it up which Evelyn finds so exciting, im pretty sure she clawed her way through frantically trying to open it. Revealing a clue within each layer as she got ever closer. 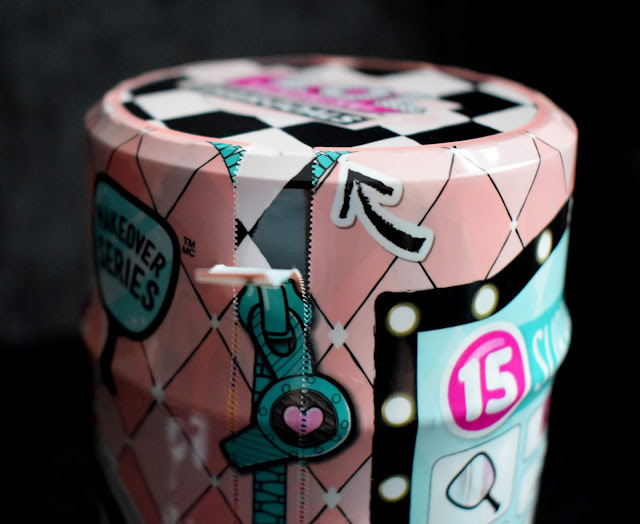 Behind each layer is a surprise, the first two layers contain clues, one which gives you a clue as to which doll which be inside the capsule and the second a set of hair bow stickers. One you have removed all of the outer packaging layers you will find the capsule. There are several different colour capsules which can also be an indicator as to which doll may be inside. If you are lucky enough to find a gold capsule it means there is a rare doll inside! As you can see above we found a light pink capsule. The top pink bit of the capsule pulls off to reveal a blind bag and a funky hair spray style top, great for displaying your new doll in. 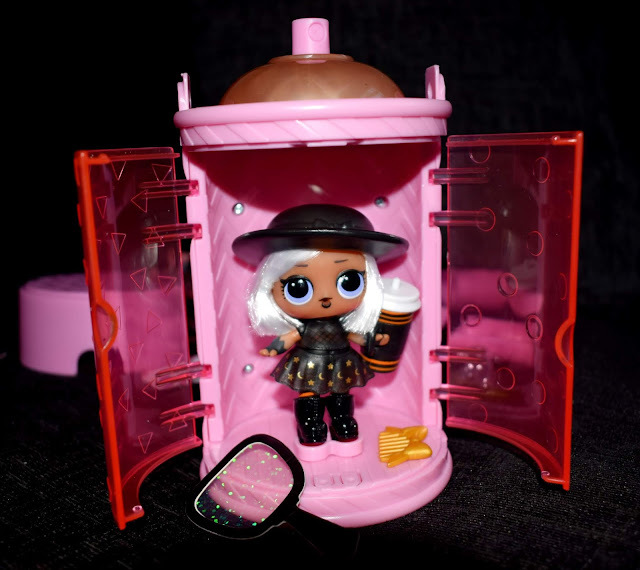 You then open the transparent double door to the front of the capsule which will reveal more blind bags, your doll (wrapped in a fun jelly like coating) and two "rollers" which also contain more surprises. To release your doll the plastic head cover pulls apart in half and the bottom part of her outfit can be peeled away to reveal your doll. Be carefully when you peel the outfit away though as this can actually be carefully separated (or carefully cut as we did) to make extra clothes/ a spare outfit. 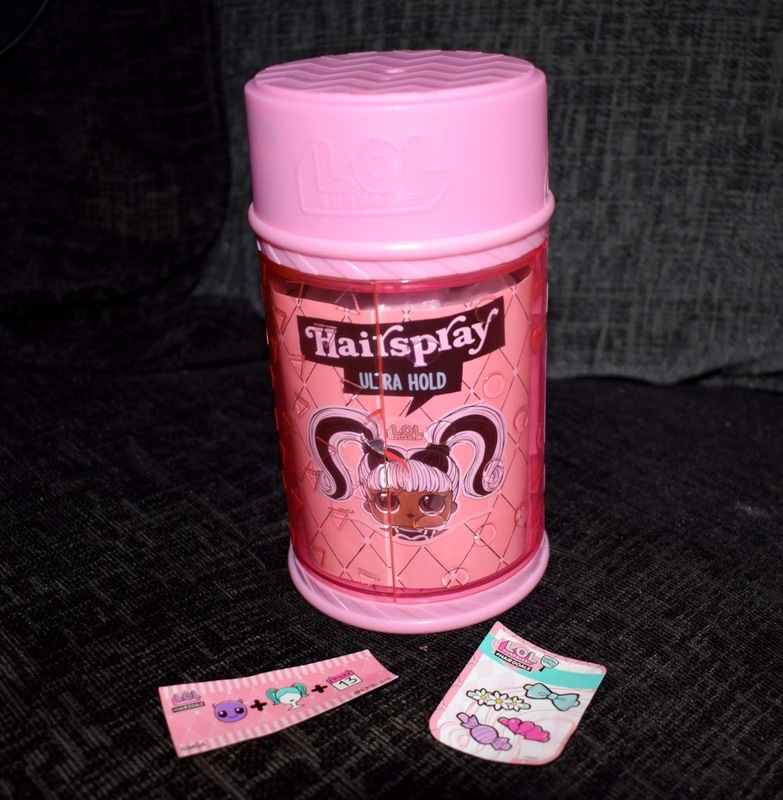 Each L.O.L Surprise Hair Goals doll capsule contains a magic mirror, secret message, hair stickers, hair curlers, a comb, a bottle, a hair accessory, as well as an outfit, mystery disguise and shoes plus your doll of course. 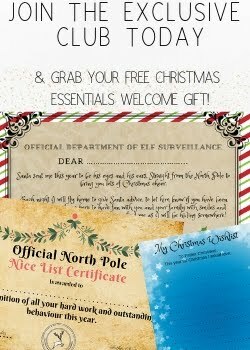 After all the unwrapping, opening and excitement we discovered we had found...…. Witchay Babay! Isn't she cute! Witchay Babay has super glossy white hair and comes with a black hat, black crop top and black stars and moons print skirt. Her outfit is finished off with long glossy black boots. Underneath her outfit she has black and orange stripy tights, she also has a pretty funky colour change in cold water (or by popping her into the freezer for a few minutes). It turns her whole body and arms black with the same star print from her skirt appearing on her body too. The colour changing dolls are probably Evelyn's favourite as she loves seeing whether they will be a hot or cold colour changer and what their colour change will be! I have to admit I wasn't keen on Evelyn having any of the Hair Goals dolls when I first saw that they would have real hair. She loves playing with the dolls in the water and getting them dressed and undressed etc and I worried that in a matter of days the hair would become matted beyond repair. However I have to admit I have been pleasantly surprised. We have a few of these dolls now and despite the enthusiastic play and water play their hair still looks fantastic. I do make sure I give it a little comb when she is done playing but otherwise it dries and stays looking glossy which is a big relief. 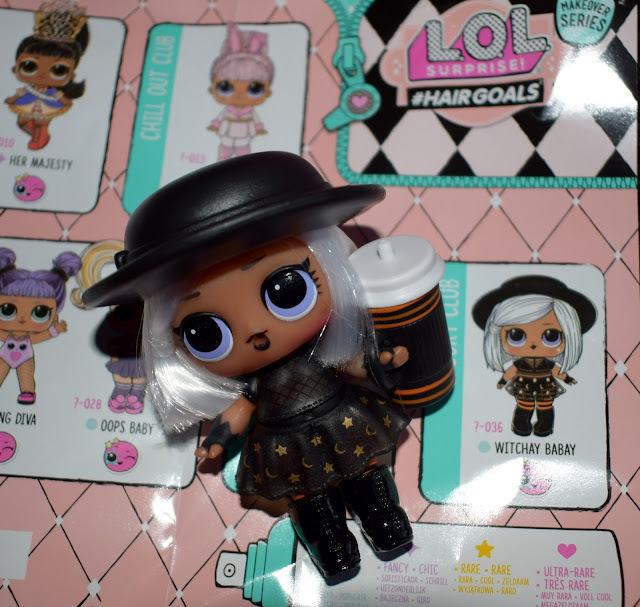 The L.O.L Surprise Hair Goals dolls are priced at £16 which is a little more than previous series however I know how much Evelyn absolutely loves these dolls so it makes them worth every penny for us. You can get the Hair Goals dolls from all good toy stores including Argos, Smyths and The Entertainer. 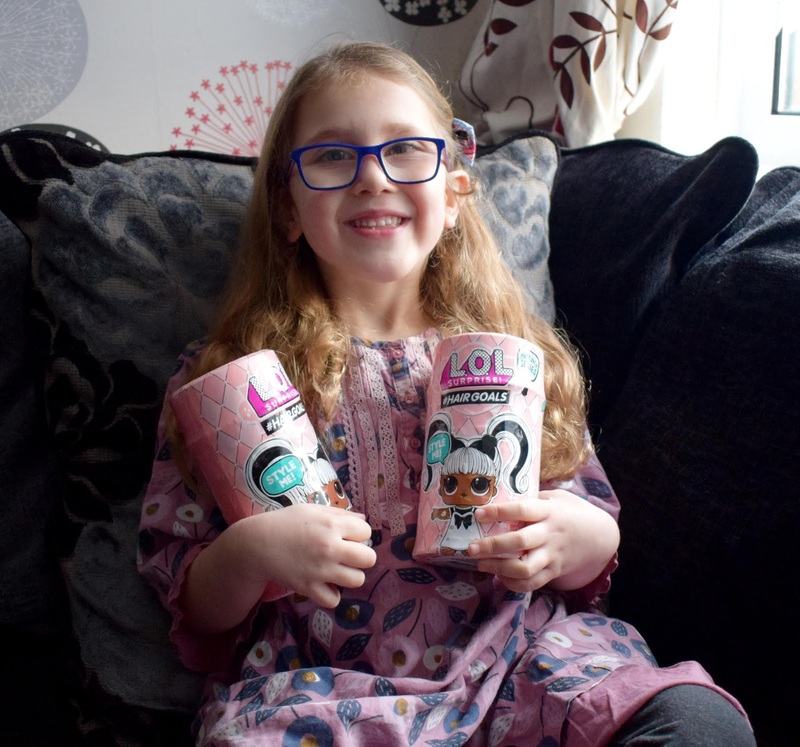 Do your children love L.O.L Surprise dolls, do they have a favourite series so far? 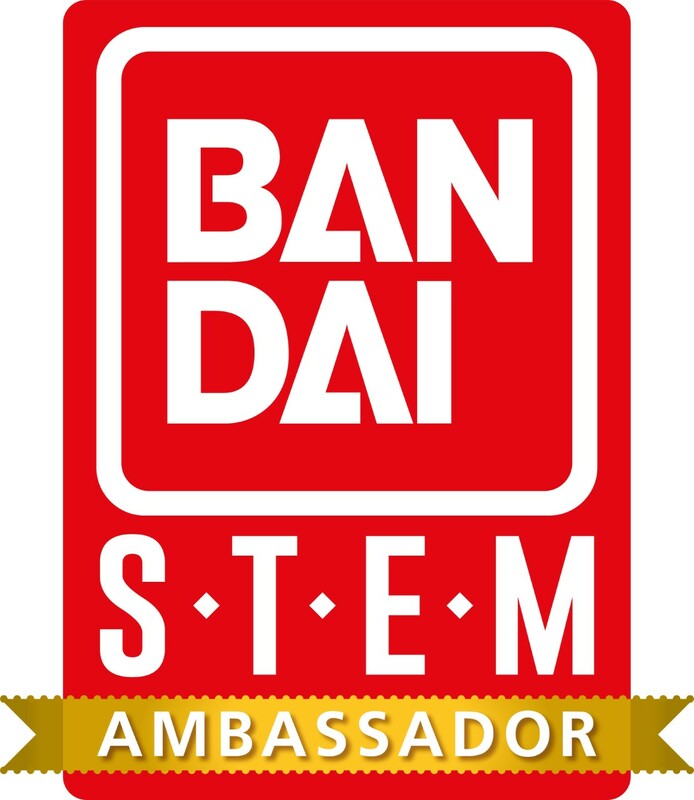 If you head over to our YouTube channel you can see us opening another capsule, find us here! My children love this sort of toy. It's so much fun to open them up and discover what toy is inside. They make great collectables. My daughter LOVES LOL dolls and would be very very impressed by your daughter's collection! LOL are very popular amongst girls at the moment. Your daughter has a very good collection! Wow her collection is amazing! My girls love LOL dolls too, they are loving the hair! My daughter has a couple of L.O.L Surprise Dolls. She adores them so much. Oh wow it is so cool that they change colour - this one is super cute! I love that LOL Dolls give you little clues while you unwrap them, that’s such a lovely and fun addition to the excitement of getting a bling bag style toy.